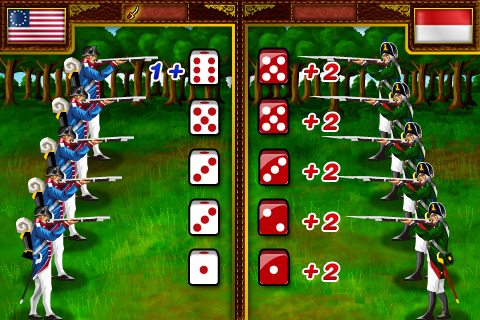 Musket & Artillery (American Revolutionary War) is a strategic style game specially developed for iPhone & iPod touch users. 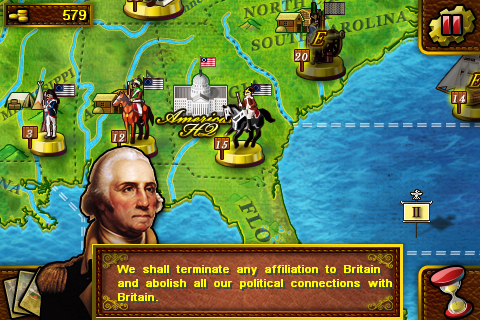 It takes you back to the days of the American Revolutionary War, where you can use military tactics to defeat your enemies (economic mode and war mode are available). 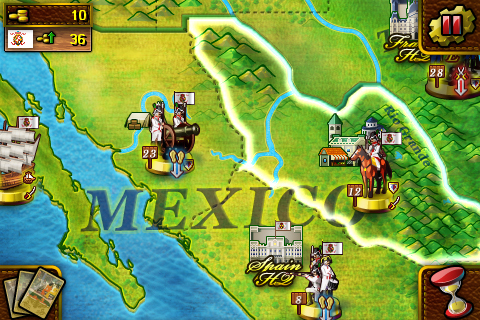 You can select to join any of the forces from British, France, United States, Hessen, Germany and Spain which are divided into 2 alliances opposite to each other. You may increase your tax revenues by occupying the territory of your enemy, or you may occupy the enemy’s HQ to get his entire territory. 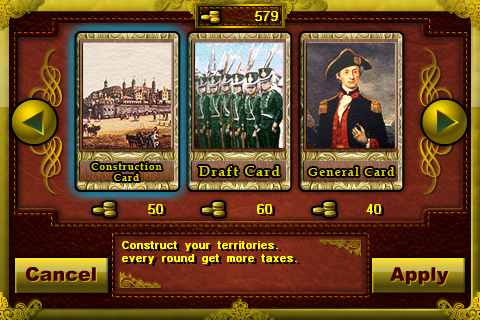 Absolutely, you can construct your territory to receive more taxes.